And they’re off. If Seren was with these guys, she might point out how monumentally stupid it is to just teleport off somewhere without any idea of where you’ll end up. But, Seren isn’t here! So this group is going to do what countless adventurers through history have and will continue to do: Dive in blindly without a second thought. Megacon is this weekend! 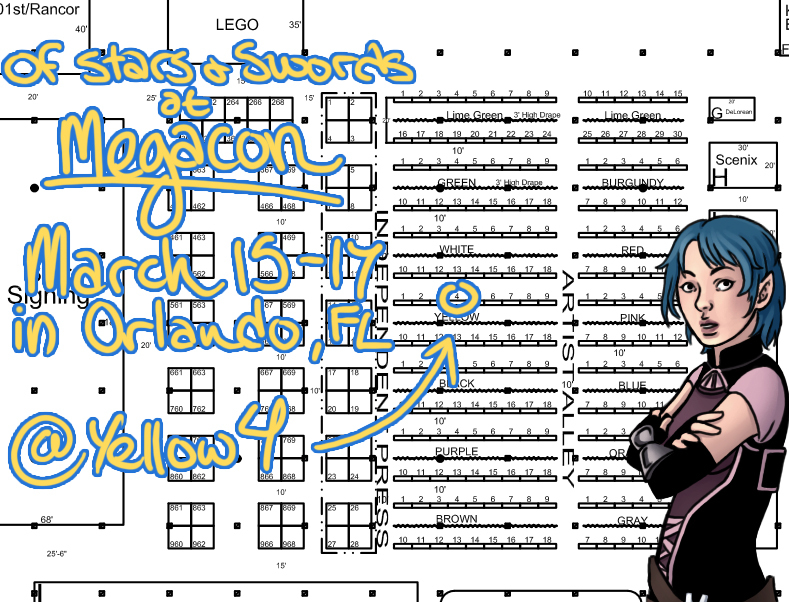 As previously mentioned, we’ll be there at table Yellow 4 in Artist Alley all weekend. Or at least, one of us will be at all times! We’ve got a special run of physical versions of Issues 0, 1, and 2 along with some prints to sell! Caroline even made a handy little map. Finally, there will be no update next week. We’re taking the week off to recover from the convention and try to get a bit of a buffer again. 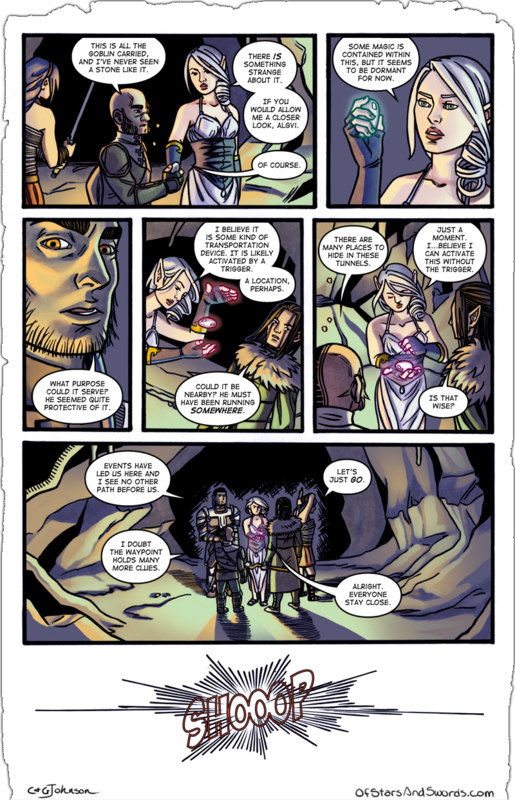 But we’ll be back with regular updates March 27th, and Seren will be, too!